I'm headed to my parents house on Friday to celebrate Thanksgiving and I can't WAIT to have a big family dinner with all my favorite foods. I pass on the turkey, but you better believe I still love all the fixins on the side. mmmm, I just got so excited for chestnuts- they might be my favorite before dinner snack! I hope everyone has a wonderful Thanksgiving with little traffic and lots of family & food, cheers! 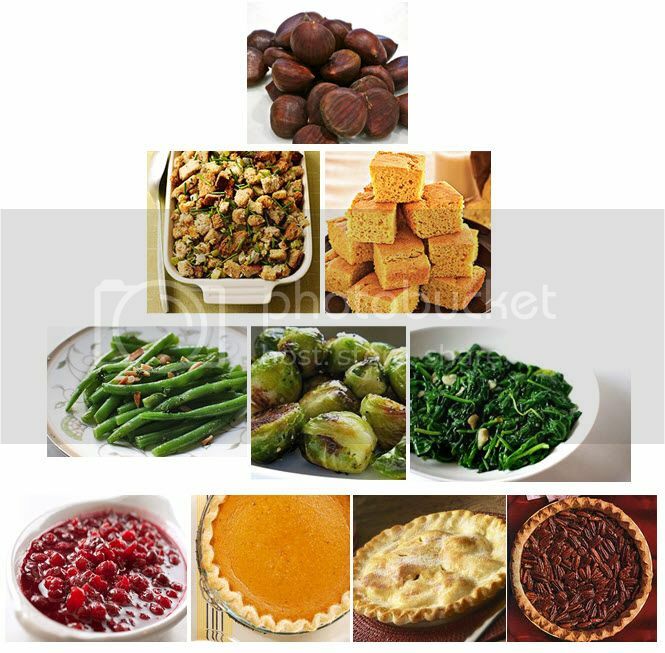 PS- I'm always looking for new side dishes to make with my Mom's turkey- so tell me, what are your favorite? i love this pyramid and support it wholeheartedly. Have a wonderful thanksgiving!! That's a good lookin pyramid. Happy Thanksgiving!! Happy Thanksgiving, hope you have a lovely holiday!